When you hear the words “Kickstarter” and “video game” in the same sentence, you’re likely to cringe a little bit. We’ve been led down this road before in terms of “capturing the essence of what made the classics great”. That’s how we wound up with Mighty No. 9 (trying to replicate Mega Man), and Yooka-Laylee (Banjo-Kazooie); both of which ended up largely disappointing their audiences. 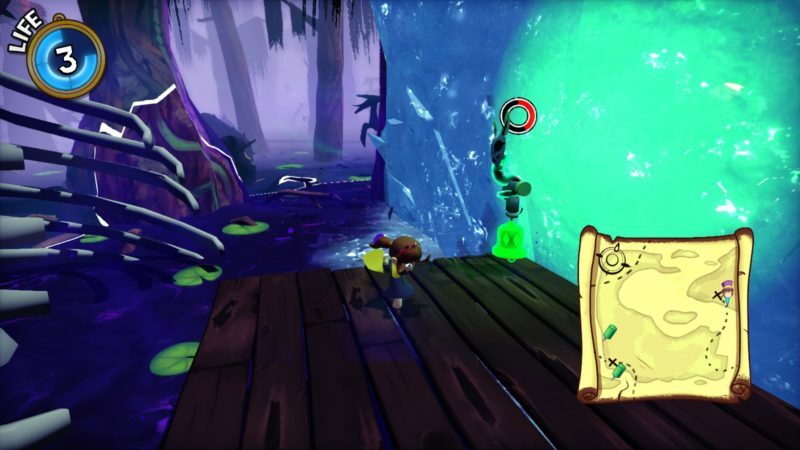 A Hat in Time isn’t just another Kickstarted game, falling on its face. This game delivers in a similar way to Hollow Knight. It is a reminder of what made the classics great. 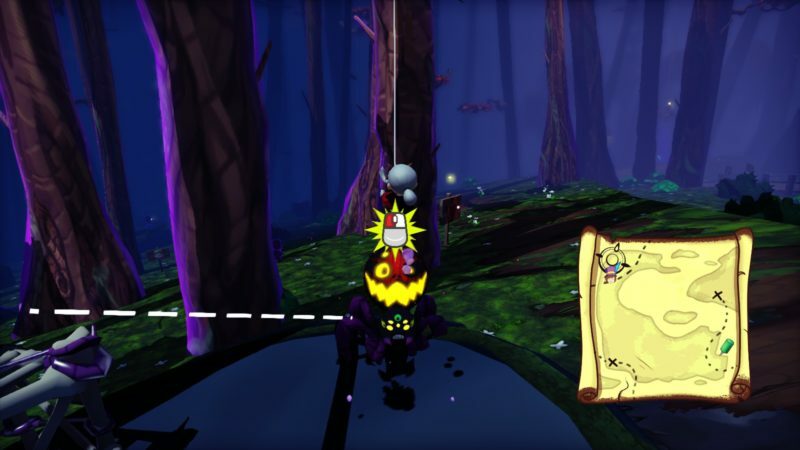 Platforming feels fluid and fantastic, especially in combination with hat mechanics. A Hat in Time is billed as a 3D platforming collect-a-thon, and you can tell right from the start it takes a lot of inspiration from Super Mario 64 and Super Mario Sunshine. Its tough to stand out in an overly saturated genre, especially as an indie title, but AHIT does just that. While it may be short, containing only 4 worlds, each world is extremely unique and offers a completely new theme and set of ideas. The first world is a little disjointed; you can tell its the first area the team designed. Each subsequent world contains more polish and a better flow all in all. Instead of a series of one off levels (like Super Mario World 3D), AHIT follows the Sunshine structure. 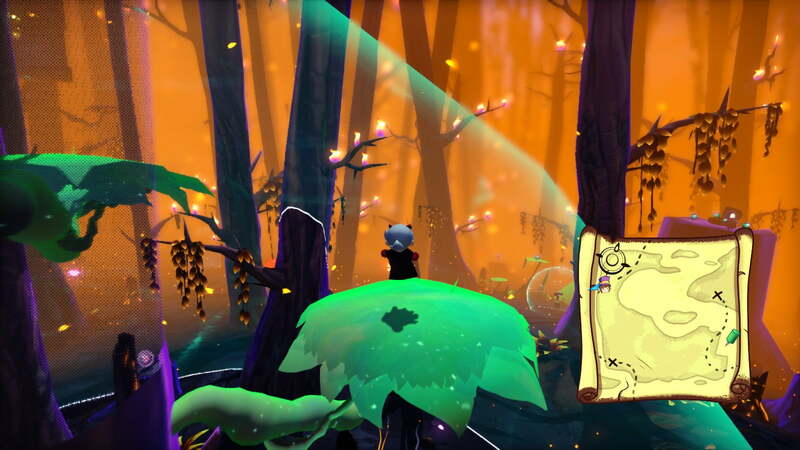 Each area has several scenarios, tweaking the world and giving the player a mini-quest to solve to nab the hourglass (essentially the star or shiny of AHIT). On top of these scenarios, you have Time Rifts, which are essentially hidden dungeons, offering the player more difficult platforming segments with an hourglass at the end of the road. While there are only 40 hourglasses to collect, and it may seem like a small amount, AHIT felt like the perfect length. It allows the player to master the different hats in the game (each with their own ability), and to play around with the various badges. It doesn’t overstay its welcome, but also doesn’t leave you tremendously wanting more. A few technical issues rear their head, such as falling through the world. These are few and far between. The key point of A Hat in Time is, well, the hats. You stitch together different hats in each world as you find the proper amount of yarn. Each hat, then gives you a different ability, opening the world and allowing you to traverse it. The Speed hat allows sprinting, the Brew Hat allows destroying boxes, so on and so forth. Finding a new hat, and discovering what it does for you is quite a joy. The other thing that blew me away was the boss fights. Standard enemies go down like a house of cards; a quick jump dive or whack with your trusty umbrella does the trick. However the boss fights are much more epic and grand. Each fight consists of several stages. First you might start against just a few moves, then the fight evolves to include minions, or some kind of final form. There’s no health bar, so you never know how close or far you are from the finish. This leads to intense moments, and a truly gratifying feeling when each boss is toppled. While not on the level of Cuphead, these are difficult fights, requiring you to pay attention and focus. Combat is pretty simple and straightforward for basic enemies, however boss fights are on a much more epic scale. A Hat in Time has a ton of personality. The art style is cute and uniform, and goes well with the various themes in each world. The characters jump off the screen, each having a fun nature and charm. No character felt phoned in when it came to design; be it DJ Groove, the movie mentor penguin, or the literal devil who is always looking to strike a deal. I enjoyed the interactions with each, and while I typically try and mash through these segments in other games to get back to the gameplay, I found myself savoring each bit of dialogue. The scenery and platforming felt fluid for the most part. There were a few times where something technical would goof up, like being stuck in a falling animation , but overall the game works well. The platforming mechanics empower the player, giving them multiple options when presented with a problem (speed runs are going to be a lot of fun to watch as the routes become optimized). This led to a very enjoyable experience in exploring the intricacies of each world; double jumping, diving, and hopping my way to cool new spots. The general gameplay in AHIT is just straight fun. As stated before, there were a few times where technical issues got in the way; falling through the world, cutscene skipping not quite working, and random hovering glitches. However, these issues were few and far between, and didn’t get in the way of the game. A Hat in Time is the Super Mario Sunshine sequel we deserve. It is a ton of fun, with fantastic platforming, rich characters, and exciting worlds. The game may start somewhat slow, as the first world can be hard to get around, but it doesn’t take long for the game to hit its stride. AHIT is definitely one not to miss, especially if you love the old school Mario games. It presents unique challenges, and 3D platforming that we haven’t seen in years. It is a rich experience and great package, with more content on the way (according to the Kickstarter stretch goals). For fans of fantastic games with personality, this one’s for you. Despite a slow start, and some random technical difficulties. A Hat in Time sticks the landing, and delivers on its promise. Great platforming, fluid gameplay, and fun characters breath life into the game, helping it stand out in a saturated market. A Hat in Time is definitely worth the price of admission.